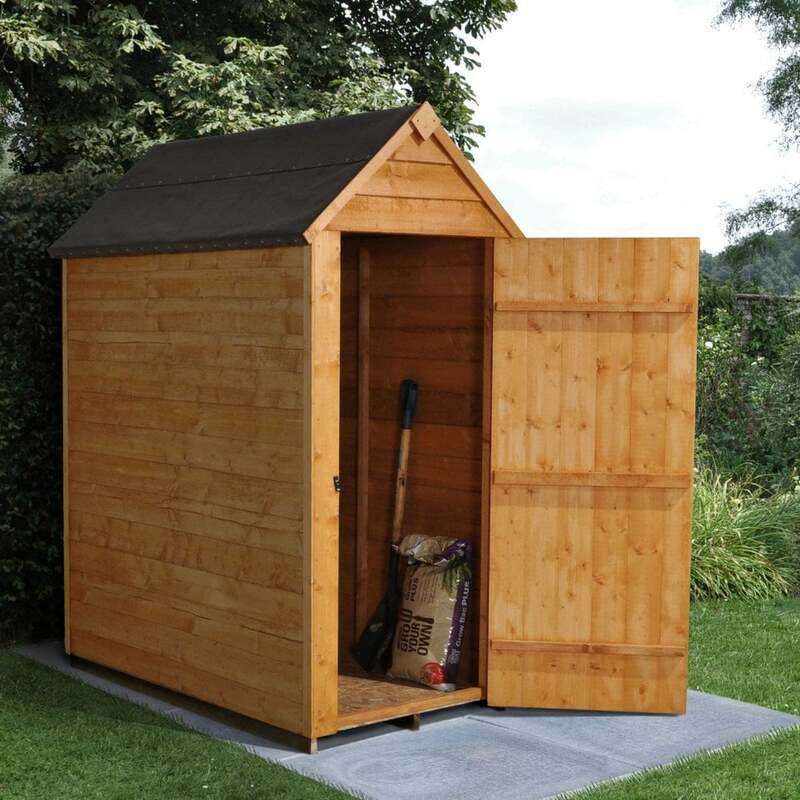 Forest Garden 5 x 3 Overlap Dip Treated Apex Shed: This Forest Garden Overlap Shed is a brilliant solution to storing your garden tools and accessories in a safe and secure location where space is limited. A garden shed is perfect for keeping your garden tidy and organised and by owning a shed, you are creating an Aladdin’s Cave of your garden property. This 5 x 3 garden shed will be suitable for small gardens, small alleyways and narrow spaces and will provide you with the storage you require. The Forest Garden Overlap Shed has been constructed with 7mm overlap boards and has a stylish traditional apex roof that includes the felt roofing material. For added security, the sheds single door has been triple braced, to allow you to hang it from either side, and comes with a turn button door fastening. The floor and roof board has been constructed using a hard wearing sheet material and will withstand the elements they face.